A pair of armchairs made by L. Chr. Larsen and Son in Denmark in the 1960’s. This company worked for Hans Wegner and you can see the quality cabinetwork in the frames. Still bearing the original adhesive label (please see photograph). Re-upholstered 20 years ago, some marks on the upholstery. Modern Blondewood 3 Drawer Bedside Chests Pair Cabinets Cupboards. Now sold. 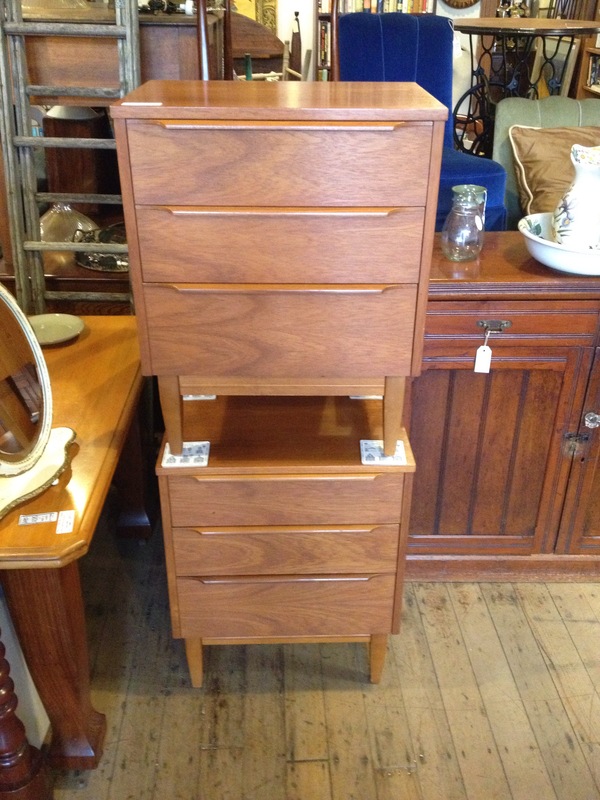 A pair of well made modernist bedside chests of three drawers each. 45 cm wide x 35 cm deep and 60 cm high. two teak bedside chests. $240 for two.